We only stock the freshest high quality pieces of locally caught fish plus a wide range of fresh fruit and vegetables. We deliver to your door weekly covering Inverary to Arrochar and Tarbet. 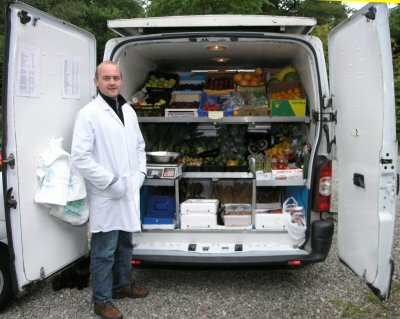 Our delivery service to Arrochar and Tarbet once a week on Thursdays. Please telephone us for delivery times to your location.